Montreal in the 1820s was not a cultural haven for the working man. Few educational opportunities existed for them in the 1820s and 1830s–or for the young immigrants arriving. There were no schools open to them; buying books was expensive. A few libraries offered books, magazines, and newspapers, but they were not free. • subscription libraries organized by and dependent on proprietor or shareholder support from men who had already achieved success. They sometimes allowed lower-cost annual and semi-annual memberships, which had to be approved by the proprietors–and thus were possibly from dependents living in the households of the proprietors, such as family, apprentices and clerks. Probably the earliest of the subscription libraries was the Montreal Library that opened in 1796. The “proprietors” were English and French-speaking notables, and the share cost was 10 guineas ($42.50); this library amalgamated at times with the Montreal News Room, and existed in various forms until the 1840s. In 1827, the Natural History Society was established, by a group of mostly physicians and educators, to sponsor lectures on scientific topics; it counted a library as one of its essential elements. The Montreal Mechanics’ Institution was established 1828 to provide library facilities and lectures for members and courses for sons of members and apprentices. The Mercantile Library was opened in 1842 by merchants’ clerks who opted not to join the Mechanics’ Institution, and was thus an effort to provide a wider access to persons of lower status; and shortly thereafter the Institut canadien was formed in 1844 to provide a library and debating facility for mainly French-speaking intellectuals, lawyers and other young professionals. The Natural History Society survived until 1925, and the Mechanics’ Institution continues today as the Atwater Library and Computer Centre. The formation of the Montreal Mechanics’ Institution (MMI) in 1828 was the first effort in Montreal to provide an educational facility where, for a modest fee, working men and youths could have access to a library as well as classes, lectures, and meetings where discussions (called “conversations”) were held on the particular interests or needs of the group. Membership costs were modest, as befitting the incomes of the people it was designed to serve; in 1831, new members of MMI were required to pay 20 shillings & seven pence half-penny, of which 10 shillings was considered an entrance fee. At the time, “mechanics” referred broadly to skilled workers such as carpenters and joiners, tanners, blacksmiths, plasterers, masons, painters, coopers, plumbers, bootmakers and blacksmiths. The MMI also welcomed employers of the skilled, such as builders, iron founders, printers, brewers, confectioners, innkeepers, bookkeepers–and was open to members of the new professions including surveyors, civil engineers and architects. Lawyers and doctors also joined the new organization, perhaps partly as a means to contribute to society. The officers of the first MMI were a cross-section of business and civic-minded community leaders, chosen for their interest in education, and the active MMI leadership was generally provided by craftsmen, as provided in the MMI constitution. • lectures on natural and experimental philosophy, practical mechanics, astronomy, chemistry, civil history, political economy, literature and the arts. MMI activities were disrupted by devastating cholera outbreaks in 1832 and 1834, and by political tensions involving liberal thinkers seeking to loosen the control of Britain over the governments in Upper and Lower Canada. MMI activities ceased abruptly in April 1835, brought about apparently by the deepening political crisis that evolved into the Lower Canada rebellions of 1837-38. There was a hiatus in MMI activities until 1840, when it amalgamated with the newly-formed Mechanics’ Institute of Montreal, led by John Redpath, contractor, who had been active in the earlier organization as early as 1831. 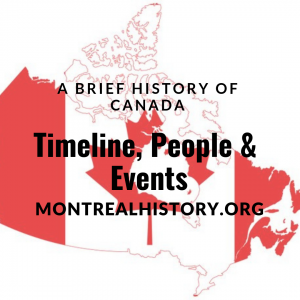 Glimpses of what interested the upwardly mobile working-class and young professional men of the time, and how they sought to develop educational resources and expertise, are revealed in the minutes of the (sometimes) weekly meetings of Montreal Mechanics’ Institution. The minutes of the “Committee of Managers” have been lost. MMI members appear to have been guided in their activities not only by the patterns set in the British mechanics institutes where education was emphasized, but also by the activities of the Franklin Institute in Philadelphia that had been founded in 1824 along the same principles. This is of relevance in the area of patents, a particular interest of Dr. Isaac Hays, long-time active member of the Franklin Institute, who was a corresponding member of MMI, and a relative of Moses Judah Hays, an MMI member. One activity of the MMI was to provide a forum for members’ inventions; it may have helped in patent applications in England and Canada. Such applications required a description, diagram and model where feasible. The histories of mechanics’ institutes often have the refrain expressed in the preface to Bruce Sinclair’s Philadelphia’s Philosopher Mechanics: “On public occasions leaders of the [Franklin] Institute frequently hearkened back to the democratic impulses which gave it its early vitality. But educational reforms initially designed to benefit poor and disadvantaged artisans usually served a more literate clientele.” This appears to have been true at the MMI from the beginning. How successful were the founders of the Montreal Mechanics’ Institution in achieving their aims? Certainly their efforts were not always completed or effective, but on the whole the 1828-35 efforts by the MMI members achieved modest success. The projected school got off to the slowest start, in part because of the difficulties in finding suitable teachers that the MMI could afford with its low fee structure. Following are edited excerpts from the 1828-35 MMI minutes, focusing on the range of practical and scientific discussions. Some spellings have been modernized, or corrected where research has indicated errors may have been made in the original minutes. Also incorporated is research that has identified how some MMI members earned a living. 16 December: MMI founder, the Rev. Henry Esson, gave the introductory lecture: “Objects and Advantages of Mechanics Institutions.” The Rev. Esson was minister at the Presbyterian St. Gabriel’s Street Church, and a founding member of both the Montreal Library and the Natural History Society. 23 December: William Antrobus Holwell [Hallowell], ordnance officer, proposed an improvement in the construction of steam engine valves. A “secret” committee was struck to report the merits of the proposed improvement: Joseph Clark,builder/surveyor/architect; John Henderson, civil engineer/iron founder; James Clarke; [Guy or Joseph] Warwick, iron founders; and John Bennet, iron founder. Alexander Stevenson, surveyor/schoolmaster, read an essay on “Causes and Cures of Cahots” [potholes]. A committee was struck to consider the suggestions: William Shand, cabinetmaker and builder; Alexander Stevenson; William Holwell; Teavill Appleton, builder; William Boston, painter; [Alfred or Francis] Howson. William Shand promised to furnish a paper and drafts relative to the Canadian gin and truck cart. 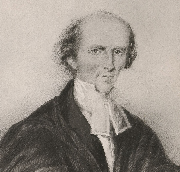 6 January: Aaron Philip Hart, lawyer, presented an improved scuttle pipe. It was unanimously agreed to. Mr. Esson gave a sketch on the manner in which the Society could direct its attention. 13 January: William Boston donated four copies of Nicholson’s Journal [Journal of Natural Philosophy, Chemistry and the Arts]. 20 January: Aaron Philip Hart read on essay on “Prison Discipline,” to which there were many comments. It was read again 31 March 1829. 27 January: William Ayers [Ayres], painter, read from the American Mechanicsmagazine, published by the Franklin Institute, about a baking machine to obviate the unseemly practice of immersing hands and arms in the material in preparation of bread. Mr. Ayers said he had completed a model of a machine to the end proposed, and sought a committee to examine it. Committee appointed: Clarke; James Poet, turner; Teavill Appleton; John Cliff, builder/architect; Joseph Russell Bronsdon, builder/fireman. 31 March: (Dr.) A. J. Christie, MMI corresponding member, military and civilian doctor at Bytown during the building of the Rideau Canal, editor of the Bytown Gazette, and former editor of the Montreal Herald and the Montreal Gazette, donated Linnaeus’ The System of Nature. A committee was appointed to devise the best means of carrying out the course of education prescribed in the Constitution: Louis Gugy, MMI president, and sheriff of Montreal; Horatio Gates, merchant, and MMI vice-president; William Shand; Aaron P. Hart; Charles Wand, builder; Robert Cleghorn, garden nursery owner; George Holman, navigator; the Rev. Henry Esson; John Molson, industrialist; Clarke; William Holwell; William Boston; George Gray, furniture maker; Howson; Warwick; William Buchanan. 31 March: Mr. Sinnott suggested an improvement for brickmaking. Committee appointed to examine and report thereon: Messrs Clarke, Stevenson, Ayers, Cooper, Wand. 7 April: James Cooper, joiner, suggested a Canadian window & door. 14 April: A Query Book was set up, in order for members to suggest topics for discussion. A further explanation was requested on Mr. Bronsdon’s report respecting Mr. Ayers’ invention of baking machine. James Cooper presented a [plan of an apparatus] for boiling grain, feeding cattle, heating water etc., and read an explanation of same. Referred to Committee of Management for consideration. 21 April: A secret committee had investigated the merits of William Holwell’s model of a new type of steam valve, and this report was received and read. Mr. Holwell deposited the model with MMI. A copy of it would be sent to England, along with a copy of the report. 12 May: Subjects for conversation at weekly meetings were to be made public in city newspapers so that members could be acquainted thereon. 26 May: William Holwell proposed an improvement in the construction of watch keys. He was requested to furnish a plan and description. Question was entered into the Query Book. William Satchwell Leney, engraver, was awarded a life membership for his gift of a copper plate for Institute cards. He donated Manual on Museum Français; Lives and Works of the Most Celebrated Painters; by Mr. Maclean, Companion to the Glasgow Botanic Garden. 6 October: James Cooper presented two pieces of timber and gave his opinion of each, further to his query of 26 May. He was requested to give his opinion in writing. 13 October: James Cooper submitted a Query: “What would be the advantages of a Rail Road between the town of Montreal and the best stone quarry in its vicinity that would supply the demands for building, exportation, roads and all other public works. What would be the probable expense of constructing it in the best manner and what would be the best course to pursue in the execution of all the various parts of the work to promote the interests of this town and the province in general?” Ordered to be entered into book as Query No. 8. 20 October: Corresponding member Thomas O’Neill (O’Neil) of Boncher Pointe, Bonnechere Township, Upper Canada, donated natural history specimens. Report on the sub-committee on Mr. Cooper’s apparatus for boiling grain or feeding milk cows and other cattle was handed in from the Committee of Management. 29 December: Benjamin Workman, teacher, and Robert Armour, Jr., lawyer, from the Natural History Society appeared. They noted that out of a NHS grant from the Provincial Parliament, £20 was directed to be spent for the purchase of Philosophical Instruments. That sum being inadequate, Andrew F. Holmes, M D., Professor of Chemistry in the University of McGill College, had kindly volunteered to deliver a course of popular lectures on Chemistry, illustrated by experiments, in aid of the instrument fund. The NHS had accepted this offer and had fixed the admission for its members and those of its sister institution the Mechanics Institution at 10p. Gentlemen not associated with either institution would be charged 15p, and ladies at 7p5. The MMI meeting agreed to this proposal. 5 January: Robert Cleghorn presented to MMI a Register of Meteorological Observations, taken at his Blinkbonny Gardens for the year 1829. 15 January: Dr. A. F. Holmes offered the use of his cabinet of minerals for the gentleman about to give a course of lectures on Materials for Building. 26 January: J. T. Gaudet presented a box, send by corresponding member Richard Power, containing a shell snail from the farm of Commissary Forbes at Carillon on the River Ottawa. Mr. T. French donated a large red-crested woodpecker, or poule du bois. 2 February: Henry Johnson and William Smaille presented to MMI several very beautiful specimens of [sphene school] black lead [graphite] from the Plumbago mine in the Township of Chatham, Lower Canada. Alexander Stevenson laid before the meeting a plan of a winter carriage referred to in his previous essay on Cahots. 16 February: Alexander Stevenson presented a letter from Donald Livingston, Esq., DPS of Land, Mount Johnson, containing a solution to lawyer James R. Pomainville’s Query No. 9. William Spence applied to the Institution for a certificate relative to the improvement he has made for the distribution of ink to the printing press. Said application referred to the sub-committee appointed to investigate its merits. 16 March: Donald Livingston presented an answer to J. R. Pomainville’s Query No. 9 from John P. Johnson of the Cote near the Tannery. 23 March: Samuel Joseph of St. Jacques, Township of Rawdon, donated a specimen of mineralogy. 30 March: Willard Ferdinand Wentzel, retired furtrader, donated a specimen of claystone from Nipigon to the northward of Lake Superior, also a piece of spunt or Indian tinder. 13 April: A paper was handed in by William Boston concerning the mechanical construction of a fireproof safe “apparently invented by John Scott.” Mr. Bostonrecommended that a sub-committee be appointed to examine it. It was referred to the Committee of Management to appoint a review committee. 24 June: James Cooper invited members to examine a geometrical staircase at his dwelling. 6 July: David Hollinger presented eight specimens of minerals from the Falls at Niagara and its vicinity. 13 July: Samuel Joseph, tobacconist and merchant, donated an Indian carved pipe in the form of a monkey. Charles Lamontagne donated a specimen of talc. A curious stone and two handsome specimens of gum copal were presented by William Ayers. A remarkable handsome knot from the butternut tree was presented by James Allison. James Allison, land agent, reported that there were in his opinion about 140 members of MMI. By donations and deposits, many valuable works had been added to the library; about 600 specimens were in the museum; plus valuable specimens of the mineral kingdom, and other curiosities. 17 August: Thomas A. Starke, printer/ bookstore owner, donated six books: Scott’s Mechanics’ Magazine; Marly, or A Planterís Life in Jamaica; J. J. Griffin, APractical Treatise on the use of the Blowpipe; W. M. Wade, The History of Glasgow, Ancient and Modern; William Paley, Natural Theology. James Snedden donated a petrified snake. 31 August: Thomas O’Neill donated the skull, tail, hind foot, forefoot and smellows of a beaver; a hummingbird; velvet buds of deer horn. 7th September: John James Williams donated two books, one 287 years old and the other 190 years old, plus eight ancient coins. 21 December: James Allison donated part of an elk’s horn taken out of the Ottawa River. 26 January (second anniversary meeting): President Louis Gugy was not in attendance, but sent a donation of six books on Experimental Philosophy. Benjamin Workman, teacher, offered to give a few discussions on Practical Geometry to any members of the Institution who choose to attend them. Benjamin Workman gave a report of the Committee of Management on the progress of the Institution. 22 February: Joseph Andrews, master builder, gave mahogany compasses and John White gave Coopers compasses to assist Benjamin Workman in his course of lectures. George Holman said that James Matthews [millwright, Niagara?] intended to lay before the Institution a model of a bridge for their inspection and asked for a sub-committee to examine its merits. Committee appointed: Joseph Clark, William Shand, Joseph R. Bronsdon; J. Andrews; John Fellow(s); John Redpath; William Lauder, builder; Samuel Hudson; Lieut. William Bradford, 8th Regiment. 29 March: The corresponding secretary read a letter from James Matthews on the subject of his model of a bridge left for the inspection of the members some time past. 5 April: Alexander Stevenson read a paper in answer to Query No. 9. He requested that a sub-committee be appointed to examine the same and report thereon. 12 April: Thanks given to Robert Cleghorn of Blink Bonny Gardens in the vicinity of Montreal for his neat and useful Diary of the Weather for the Year 1830. Received from James Teacher of Lachine, an answer to Query No. 9. Referred to sub-committee. Donation by George Holman of a piece of lace bark from the Island of Jamaica in the West Indies. 26 April: Alexander Stevenson reported that he had received a solution on Query No. 9 in algebraic characters and that he had delivered it to Benjamin Workman for examination and had requested him to lay the same before the Managing Committee for it to be referred to the Sub-Committee according to the usual form. Donation received from Mr. Allen of Cote à Baron, a potato of curious growth, having a piece of iron attached to it. William Boston donated a book on Turning; a Land Steward’s Guide; and an ancient Roman coin of the reign of Emperor Commodus who began his reign in AD 180. 3 May: Plan of Mr. Dow’s bridge referred to the Managing Committee. 7 June: Received from (Dr.) A. J. Christie a box containing specimens of materials used in construction of the Public Works in the Rideau Canal: stone used at Cataraqui, Jones’ Falls, Davis’ Falls, Smiths Falls; natural stone found at Davis’ Falls; specimens of pyrites found near Old Slicers on the Rideau River, Bytown 28 May 1831. Donation by James Allison of a number of natural curiosities collectd by him on a tour through Upper Canada. 6 December: Donation by James Allison of a petrified turtle from a young lady. Lewis Betts, engineer, donated a book containing views of the Liverpool Railroad. William Holwell donated a book by Dr. Brewster, On the Kaleidoscope. 10 January: Robert McGinnis donated a Greek & Latin Testament. 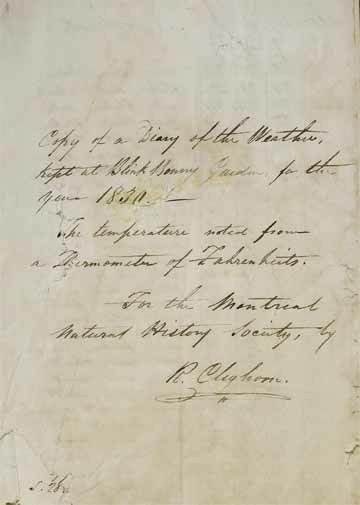 24 January: Alexander Stevenson donated specimens and curiosities taken by him from different excavations through Point à Moulin near the Cedars, Upper Canada. A number of specimens of minerals from Saxony were presented by James Allisonfrom J.-M. Arnault, machinist, of Montreal. 21 September: Meeting called to investigate merits of a plan said to be an improvement on the present work of propelling steamboats. Present: Louis Gugy, William Boston, Alexander Stevenson, Samuel Hudson; Lewis Betts; James Cooper, John Whitelaw, carpenter; James Poet, turner. “Resolved that model now exhibited by Mr. John Pigott [Piggot] of 3 Rivers offers in principle much simplicity and some novelty and bids fair to overcome in its future application the principle of acknowledged objections against the work of propelling steam engines now in general use, to wit, by paddle wheels, and such as a valuable improvement in the application of power, is highly deserving the approbation and encouragement of this Institution. “Wherefore the Society hereby recommends the inventor and his plan to the attention of all persons or Societies having mechanical improvements for their principal objective. Alexander Stevenson donated the skeleton of a frog. 30 January: Received a model of bridge and three plans of bridges from James Porteous, Esq. of St. Therese, corresponding member, by hands of William Boston. 5 February: James Cooper delivered remarks upon the injurious effects of the frost on stone foundations of wooden houses, walls, etc, and effectual work of preventing the same. He was requested to give same in writing. 26 February: James Cooper presented in writing a mode of securing the foundations of buildings from the injurious effects of frost. Resolved that tickets to persons shall be 1/3 to each lecture. Members’ families and apprentices to be admitted gratis. Resolved, Public to be notified in the public journals of the city. 100 tickets to be printed. 26 March: Book donations from :William Holwell Howson; Clarke; and John Dougall, Cabinet of Art and Arcana of Science. 4 June: Book donation from Shannon Peet, late of Boston: Cobbett’s Grammar. 3 December: A report from the sub-committee appointed for devising the best means for establishing an evening school was handed to the chairman and read. When some objections were made by the members present, a portion of the said report was returned to the said sub-committee for alteration. Moved that advertisements be immediately prepared and inserted in the Montreal Herald, Courant and Gazette newspapers, apprising the members generally that the School will open on Wednesday Evening, the 19th Inst at 7 o’clock. 10 December: John Durie, teacher, allowed use of one room for a day school, provided he will devote two hours of his time each of the evenings that he may be required in his capacity as Teacher to instruct the sons and apprentices of the Members of this Institution. The School sub-committee reported they had reason to hope there would be about 15 of the sons and apprentices of the members at the commencement of the Evening School tomorrow Wednesday evening at 7 oíclock. 17 December: Committee of Managers agreed last evening that the School sub-committee should be empowered to engage a competent master to teach the sons and apprentices the art of drawing. Thomas Mitchell, teacher, offers to teach a course of lectures on Political Economy. Members to be apprised by advertisements in the public journals, inviting them, their sons and apprentices. 24 December: John Cliff was appointed Drawing Master to the Institution. School shall be open Monday evening, 30th December, and shall continue open every Monday, Wednesday, Thursday, Friday evenings at 7 o’clock. 10 January: John Redpath donated 60 numbers of the Repertory of Inventions, published in London. Thomas Mitchell, Esq. gave lecture on Political Economy. 21 January: Horatio Carter (chemist/pharmacist) donated 13 numbers of the Verulum, six numbers of The Guide to Knowledge; and the Penny Magazine, all published in London. 28 January: Horatio Carter gave a preliminary lecture on Chemistry. Crowded audience. Next lecture scheduled for the following Tuesday. 11 February: Robert Cleghorn was thanked for his diary of the weather, 1832 and 1833. J. Rattray, tobacconist, donated book, Scientific Irrigation. Thomas Mitchell gave lecture on Political Economy. 18 February: Horatio Carter to purchase, in London, books and apparatus for MMI. Money donated by Gillespie, Moffat & Co.
25 February: Dr. William Primrose-Smith gave 116 numbers of Dictionary of Mechanical Science, the completion of the work. George Bernard, livery stable keeper, submitted for inspection and approval or disapproval, models of two-wheel carriages, said to be an entirely new principle. Sub-committee appointed: Joshua Woodhouse, James Cooper, Teavill Appleton, John Cliff; George Garth, plumber. 18 March: Sub-Committee reported “somewhat favourably” on Mr. Bernard’s models of carts. 10 February: A committee of James Poet, John Cliff and James Allison were appointed to make enquiries for suitable rooms for the accommodation from May 1, 1835, and that they report to the Committee of Managers as early as possible. Alexander Stevenson donated two Indian spearheads found by him at the Seignory of Beauharnois. 17th March: Treasurer John White reported he had effected insurance at the Phoenix Fire Office on the property of the MM Institution to the amount of Two Hundred Pounds for one year, at ten shillings and sixpence per one hundred pounds.